House sitting and travelling Australia has provided us with lots of ‘moments’, excitement, joy, peace among others but there is something deeply satisfying about working on the land. Carrying out these traditional tasks every day, developing a routine, makes it easier for a city dweller like me to understand, to briefly experience that connection to the land that country people feel. 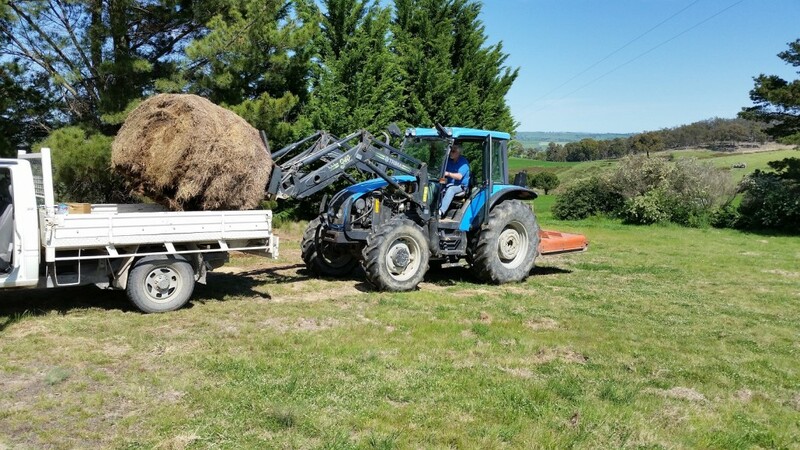 Getting hay from the shed, moving it into the paddocks, seeing feeling, talking to the cows, checking the sheep, the gates and fences, it may be work, but it repays in kind. 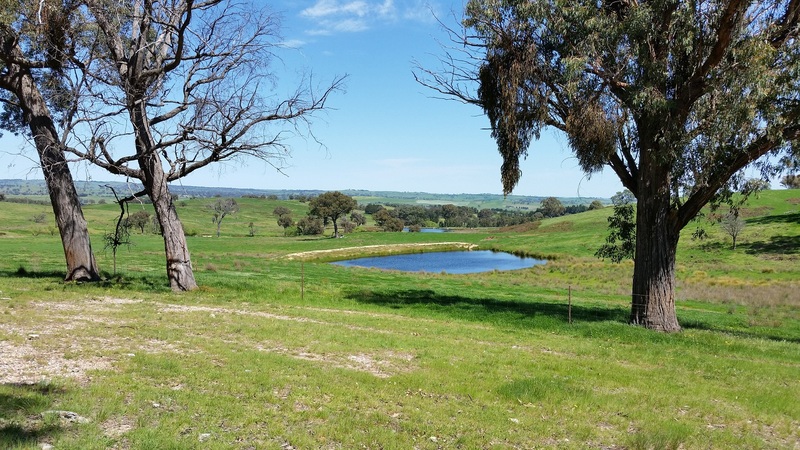 Hearing sensitivity increases, the distant sound of a tractor, the randy bull in the next paddock, the bird life and the sounds of the bush create an experience that cannot be duplicated in the city. While all this is very relaxing, the same can’t be said for some of the tractor work on a property with almost no flat land. Tractor roll-overs put fear into the hearts of the strongest man of the land and I was not going to be the city fool to kill myself this way. My end could have come from flying around storms on instruments in the blackest skies, it could have been threading through the reef with no moon and rudimentary navigation, and it may yet come at maniacal speeds on a motor bike, for I am fascinated by the wisp of vapour that separates exhilaration from death, but it was not going to be on a sunny day in the country under a tractor. 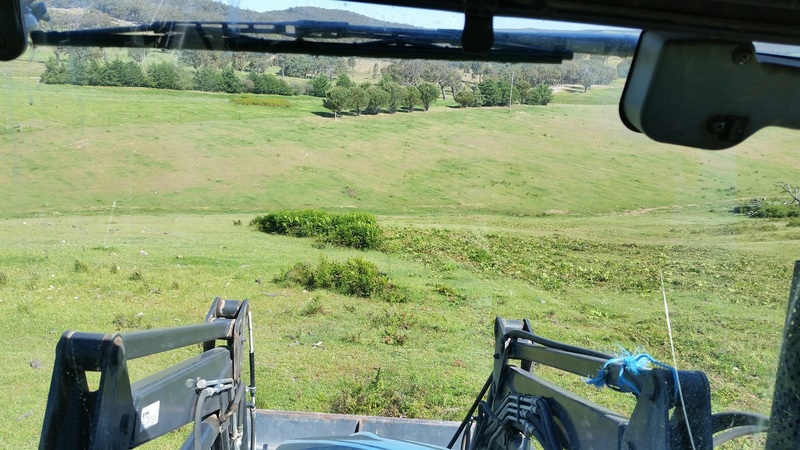 Just the same, I was mentally committed to slashing back the heather that had overgrown parts of the Hill Paddock so I took great care to keep the tractor at an angle that felt it was still under control and could tolerate at least some ground disturbance without toppling down the very steep sides of the beautiful but dangerous Hill Paddock. 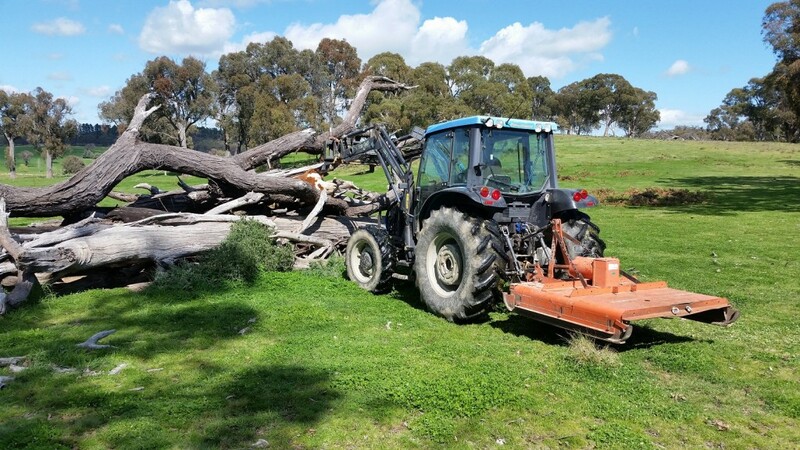 Before I could tackle this challenge it seemed judicious to develop my handling sensitivity gradually so I started by slashing the grass in the yard paddock, not all that successfully I decided, as the blades did not seem to have been sharpened for a little while. On the following days and weeks I moved on to using the front end loader attachment to move gravel onto the track washouts and ‘grading’ within the limited capability of the loading bucket. After this I felt confident enough to tackle some slashing heather on the lower slopes but before slashing could commence, I needed to raise the height control bolts that had not been moved for a long, long time. A saga in its own right but after cutting a replacing some of the bolts, grinding a cutting edge onto the blades, a full day’s work and the slasher was ready to go. For the most part, the only safe way to do the steeper slopes was reversing up the hill, slashing as you go, steering a new direction and clock-working the gearing back to the bottom. Repeat. As the hours went by, confidence grew but there was no way I was going to be cutting horizontal swathes around the hill. As it was, I only got a few acres cut with almost as much to go before my time ran out and our hosts were due to return. Even in the photo, the distance to the bottom of the hill looks a long way away. I was about half way up. The ladies of the Laggan Hall were a friendly bunch and loved a chat. They could also cook. My appointment on Sunday afternoon was a consequence of a promise to provide assistance for a little fund raiser for this little community of some 320 locals. It required a country-peculiar brand of travel, the 4WD ute. I carefully wrapped one of Ian’s pianos (of the electric variety, not the pianola obviously) in plastic and loaded it into the back of the utility. It was only 10 ks or so to the hall where the big event was to take place and I was judiciously early, setting up my mini stage as the guests began to arrive. It was a lively event by High Tea standards and all seemed pleased enough with my choice of music. I hoped so as my repertoire is severely depleted since those distant memory days when it was a substantial part of my income. Aside from being well fed on assorted cakes and other sweets, I was happy to be engaged in conversations and feel that I had a minor contribution to a local event. I went home a sated and happy person along the way crossing the part of a couple of other locals, monotremes actually, aka, the mind-your-own-business, echidnas, trundling along the road side on an important mission. The next day I set myself the task of getting the aged but mighty Honda self-propelled mower to well, self-propel. It’s a simple system, almost primitive by today’s standards, where the whole engine slides back to take up the slack in the drive belt, propelling the machine forward with a surge of purpose. Over the last two or three decades, the slide mechanism had worn to the point where the engine was pointing a significant degree to windward, like a sail to a leeward breeze. Fortunately Ian has a comprehensive workshop so it was fairly easy to make and fit a new spacer plate to bring things back into alignment. I was glad I spent the time as the area of grass that needed a haircut on a regular basis is half an acre at least. Watching my diet was not necessary on this cruise. There was another matter around the house, literally, that seemed to be a long standing point of discussion, reminders, pointed criticism and pounded flat by the feminine dropping of hints. It was the misalignment of the driveway garden bed. The bed side was comprised of pine planks that came to a point where they squeezed the driveway between the boards and the trees on the other side. What was needed was re-alignment but that meant taking out the posts that had been concreted into position, taking out the soil and rock and rebuilding. A bit of a task if one does not have a front end loader in the shed, but we did. It still took a couple of days and a lot of sweat, the front end loader not being the most sensitive of instruments but we got there in the end, a more gentle and sympathetic alignment that ensures one could drive past the house corner without repainting the car doors. Not all the tasks were a joy. It’s a fact of rural life that animals die and not always at a time of their or your choosing. A dead calf is not only an economic loss, it is a mini failure, often coming when least expected and despite one’s best and caring efforts. It is even worse if the death is that of a mature animal, especially one as large as a cow. When this occurs, there is little to be done but pick up the carcass on the tractor fork tines and take it to an area where it can be burned. Fallen timber that is not required for firewood is piled high and the carcass put in or on the pile. As some points in the season there may be several animals to be dealt with this way and the possible causes, diseases like black leg, kidney water, bloat from the abundant clover and other natural causes are discussed and hypothesized to a significant degree. 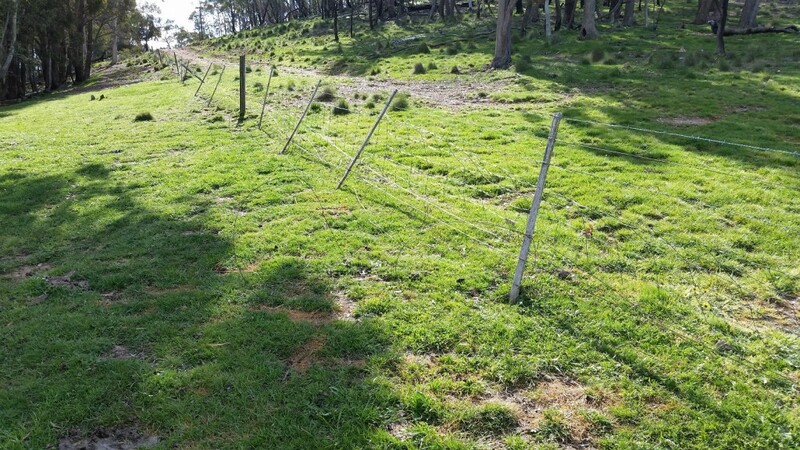 Of more benign fare, the maintenance of fences is more like the typical ‘man’s work’, straightening steel pickets (cows love to bend ‘em like Beckham) and replacing broken wires, mostly as the result of kangaroos. It’s a strange fact of which I was previously unaware, kangaroos do not like to jump. In fact the lengths they will go to in order to avoid jumping is simply amazing. Every fence line has several holes over which one will inevitably find loose fence wires. Kangaroos will go to a lot of trouble to dig out the soil and stretch the wires so far as to break them, to avoid the trouble of jumping over the fence. 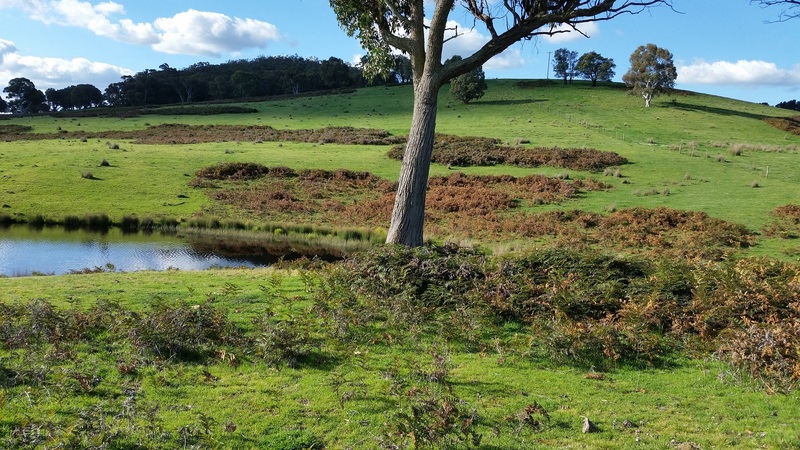 Of course wombats, those mini bulldozers of the bush, will also walk straight through the best fence but there is some doubt they even notice the fence is there. Kangaroos on the other hand are very much aware of the problem (for them) and will much prefer to go under. If that is not available, between the barbed wires is next choice and finally if all else fails, simply take an easy bound over the top and disappear into the distance. Go figure. In the long run, most farmers leave the holes provided the sheep and cattle aren’t trying to escape or just wander off. There is no point in fixing the hole if it reappears tomorrow, in the same place or just next door. Anyway, tomorrow we get to play with the chain saw and build a web site. How hard can that be?